Colored LED lighting, In-Floor Cleaning Systems, Automatic Vacuum Cleaners, Salt Chorine Generators, Water Features, Heating—Choose from the list below, or scroll down to find out more. At Aqua Blue we offer the complete solution for automating your pool experience. 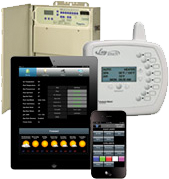 Seamlessly control your pool with an indoor remote, computer, or mobile device! These user-friendly, affordable devices will take your pool enjoyment to a level you didn’t know was possible! 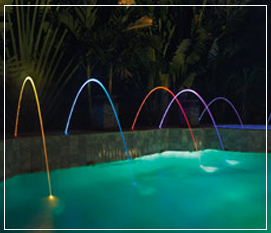 LED lighting has the ability to transform your pool into a magical oasis. We’re proud to offer LED technology capable of delivering high intensity in an array of color choices. Whether you’re looking for a solid color or a color-changing show, we’ve got you covered. 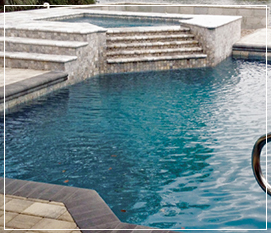 River Rok pool surfaces are both dazzling and durable. They are increasing in popularity as interior pool finishes because of their extensive lifetime and superior appearance. 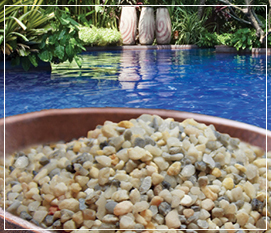 Combining naturally tumbled pebbles with special cement through a unique process exposes a harder, more dense, and longer lasting finish. Blue or Teal Aqua Gems combine the strength and beauty of quartz with a permanent inorganic pigment, creating a strong and elegant looking pool surface. The Aqua Gems will actually strengthen the plaster finishes, and can withstand common issues with pool water chemistry. Deck jets produce breathtaking water arcs straight from your deck into your pool or spa. These versatile features can be installed in just about every combination imaginable, and with their 360° adjustment capabilities, you’ll never get bored of looking at them! Cleaning systems actually save you time and money. Your pool should be a luxury, not a chore, and with the new cleaning systems on the market, it will be just that. State-of-the-art cleaning systems are both reliable and efficient. 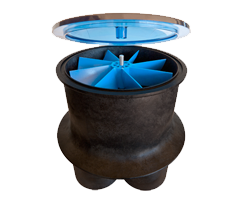 Learn more about our favorite cleaning system, Q360 by Blue Square Manufacturing.